The Heritage Lottery Fund has launched the £1.5 million Great Place Scheme, a pilot scheme which is designed to promote a partnership approach to regeneration in Wales. Grants of between £100,000 and £500,000 are available for activity to be delivered over a period of up to three years. Match funding of at least 10% is required. The funding is for partnerships led by a not-for-profit organisation to work together to consider how to enhance the role of culture and heritage within society and use them to tackle such wide-ranging issues as poverty, inequality, employment, education and health. The application process has one round only. The deadline for Expressions of Interest is 14 August 2017 (midday). Making an application for an arts, sports or heritage project? Find out which funding body is the best for you. Revenue and capital grants of between £500 and £10,000 are available. Occasionally larger grants are made. There is no specific requirement for match funding. Preference is given to support smaller charities where the grant would have a significant impact. In the event of awards to individuals, the Foundation normally requires a grant to be made through a registered charity or higher education institution. o Wednesday 18th October 2017 - forms to be returned to the administrator by Friday 22nd September. o Any further documents that are requested. For further information, visit the Finnis Scott Foundation website. 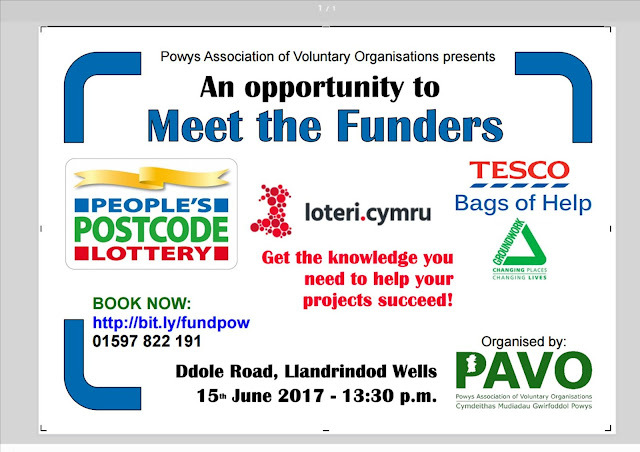 The second round of funding for Social Enterprise Assist Wales is open. Social Enterprise Assist helps social enterprises access funding and support from large businesses. This includes interest-free loans, corporate mentors and access to a bank of experts. The Healthy Heart Grants scheme supports new and innovative projects designed to promote heart health and to prevent or reduce the risks of heart disease in specific groups or communities. Grants are not awarded for general healthy lifestyle projects. Not-for-profit organisation in the UK may apply for grants of between £1,000 and £10,000 in specific regions across the UK, including the West Country. Match funding isn't an essential requirement, although some element of funding from other sources is welcomed. Projects must focus on, and actively promote, heart health or reduce the risk of heart disease for the duration of the project. The cost of travel may be included in a Healthy Heart Grant application provided it forms a necessary and integral part of the Healthy Heart project. In exceptional circumstances, where a project has a very strong heart element applications may be considered from researchers. Projects must run for between six and 12 months. The West Country programme opens on 17 September 2017 and closes on 14 November 2017.
o Wales – 27 September to 14 November. Application is by application form, which can be downloaded from the Heart Research UK website. (Please note that at the moment the link to the application form on the Heart Research UK is broken and the application cannot be accessed currently). For further information, visit the Heart Research UK and SUBWAY Healthy Heart Grants website. If you’re a charity interested in redeveloping your website then click here to be taken to the Transform Foundation website for more information on the grant programme and how you can apply. The 2017 Website Grant Programme funding round follows a highly successful pilot in 2016, which resulted in websites that collectively went on to raise over £1.3m online for the successful applicants. To apply for the grant or to find out more details, visit the Website Grant Programme section of the Transform Foundation website. One last thing! The Charity Website Grant Programme is just one of many programmes the Transform Foundation is running this year. Other projects include the Facebook Advertising Grant, which provides £5k grants to charities to fund Facebook Advertising campaigns, and the Digital Skills Timebank that co-ordinates corporate volunteer time and matches it to digital projects for charities. The Transform Foundation is also running a programme of educational events and white papers to share digital best practice in the charity sector. These programmes form part of its wider efforts to help the charity sector transition from traditional forms of fundraising and service delivery towards more digitally focused models. I’m emailing you to share some very exciting news with regards to the launch of our new Commissioners Community Funding programme from my office. A FUNDING programme with £75,000 available to communities across Dyfed-Powys has been launched and I’m inviting applications from groups and organisations in Carmarthenshire, Ceredigion, Pembrokeshire and Powys, who would use the funds to help improve people’s lives. The Commissioner’s Community Fund offers grants of up to £5,000 to charities, voluntary organisations and community groups so they can develop ideas that have a positive impact on the areas they work in. Projects must reflect in some way the priorities highlighted in the 2017-21 Dyfed-Powys Police and Crime Plan, which are: Keeping our communities safe, safeguarding the vulnerable, protecting our communities from serious threats, and connecting with communities. 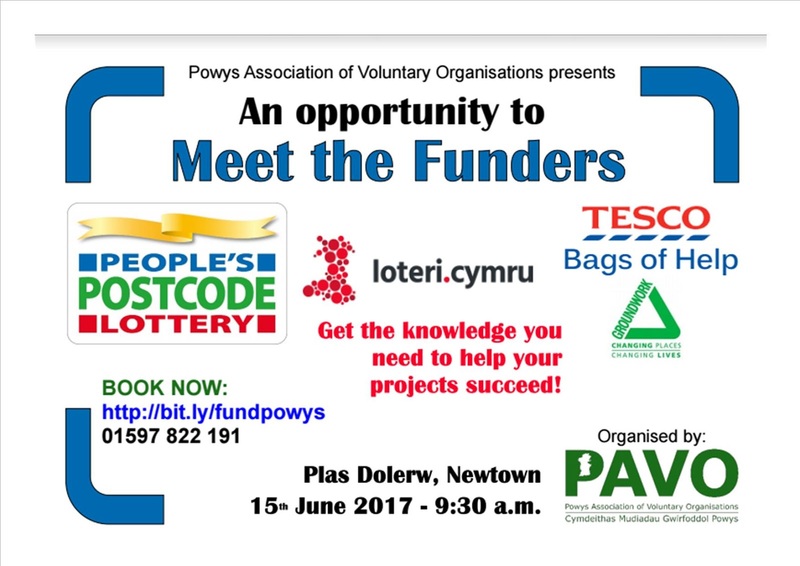 The funding is available to public sector, private sector, voluntary or community organisations and we encourage organisations to work together. There is a maximum application threshold of £5,000 and applications higher than this will not be accepted. The programme is open from April 13, 2017 with a closing date of June 2, 2017. If you know anyone who you think is eligible for the above funding, I encourage you to share this e-mail and make sure they submit an application!